*In honor of Mexican Independence Day. 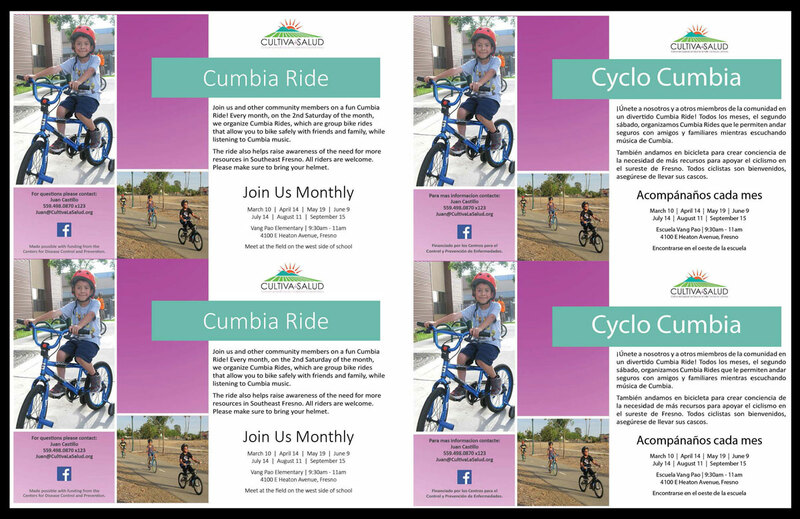 Cumbia Rides are organized group bike rides that allow residents to participate in fun physical activity and bike safely with friends and family while listening to Cumbia music. On this day, we will have bike decorations, prize giveaways and light refreshments. For those who aren’t able to go on the bike ride, please join us for a walk around the park. Join us for a neighborhood walk and talk. This is a great opportunity to share challenges and solutions to improve the safety in your neighborhood. The walk will take approximately 1 hour. We will start in front of Hidalgo Elementary School. This class is open to residents 13 and older who have some skills in riding a bike and would like to lean more about riding on the road safely. This is a 1- hour workshop. The Central Southeast Specific Plan will be a plan that guides development in the community over the next 20 to 30 years. The Specific Plan will include significant involvement form the community. Now is the time to get involved and help shape the future of your community. 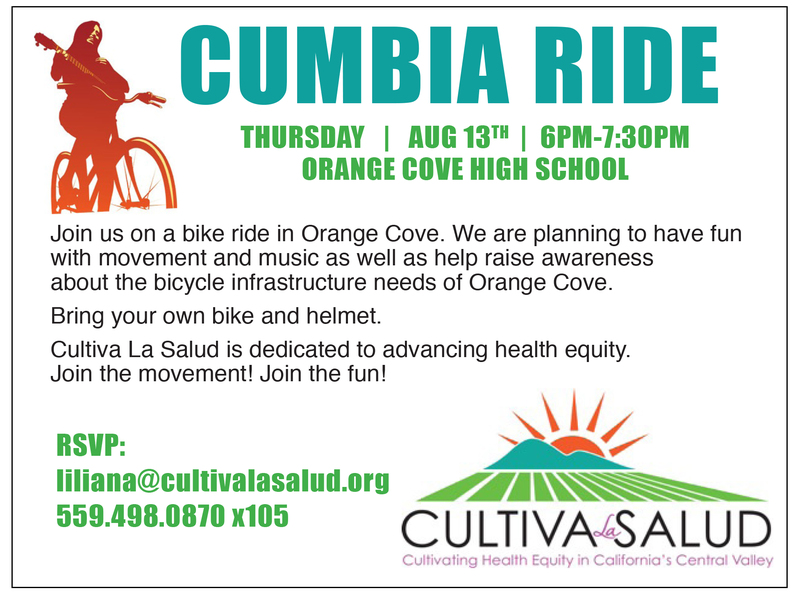 Join us and other community members on a fun Cumbia Ride! 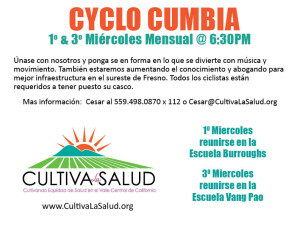 Every month, on the 2nd Saturday of the month, we organize group bike rides that allow you to bike safely with friends and family, while listening to Cumbia music. The ride also helps raise awareness of the need for more resources in Southeast Fresno. Click on the image below to view the flyer and share with your partners, colleagues and community. Zumba classes return to Citrus Middle School twice a week for residents to participate in fun physical activity. These popular workshops bring in an average of 30-40 residents of all ages and skill levels and continue to be a favorite among the community. Citrus Middle School is kicking the year off strong with Zumba every Monday and Thursday from 6 to 7 pm. 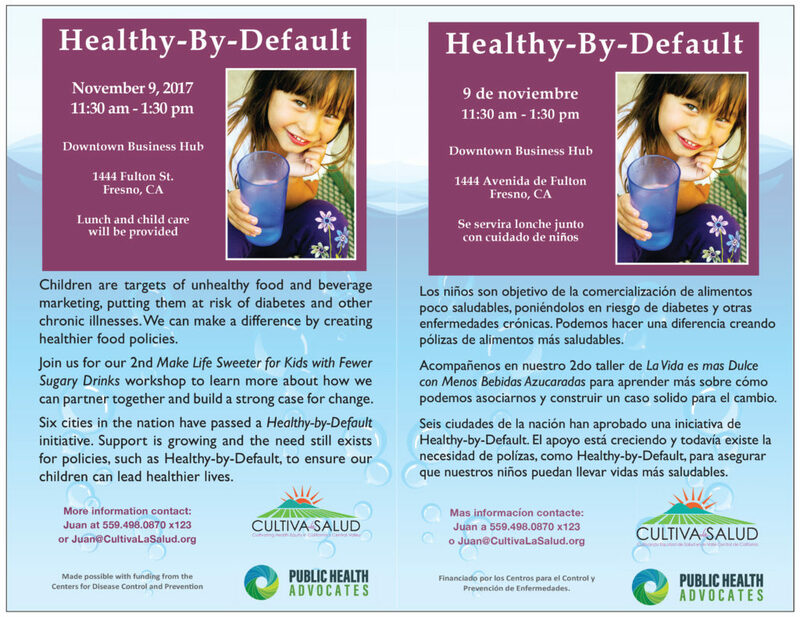 We’re hosting our second workshop on November 9th to look at the possibility of a Healthy-by-Default initiative in Fresno County. Every day our children are bombarded with advertisements that promote unhealthy beverages and put them at risk of developing diabetes and other chronic illnesses. Healthy-by-Default looks at the possibility of requiring restaurants that serve children’s meals to provide milk, non-dairy milk, water or sparkling water as the default beverage option. Parents would still be able to purchase sodas, juices and other sugary drinks by request. This initiative is meant to encourage healthier choices by making the healthy choice the easy choice. Learn more by attending the workshop. Click on the image below to view the flyers and share with your colleagues and community. 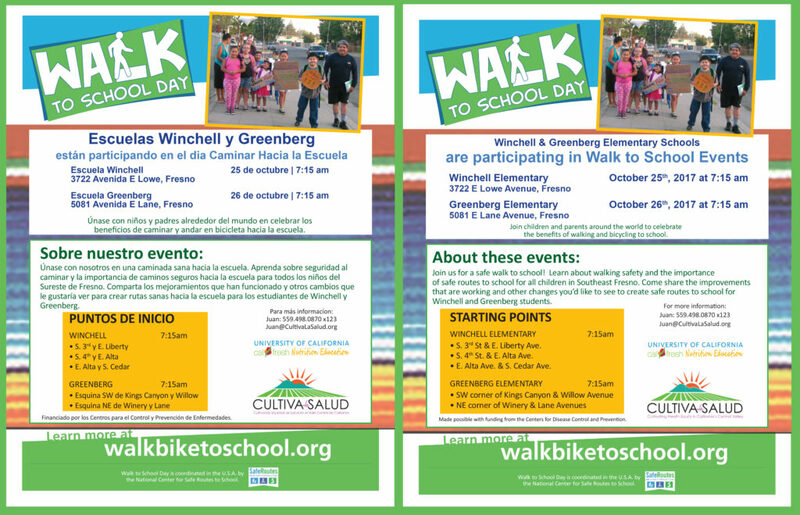 Winchell and Greenberg Elementary Schools in southeast Fresno are joining children and parents around the world to celebrate the benefits of walking and bicycling to school. If your child is a student at Greenberg or Winchell, join us this Wednesday and Thursday to share the importance of safe routes to school for all children. Find your starting point and join us. Click on the image below to view the flyers and share with your community. Join us on October 11th for a celebration of Latino Heritage with music, culture, and physical activity. 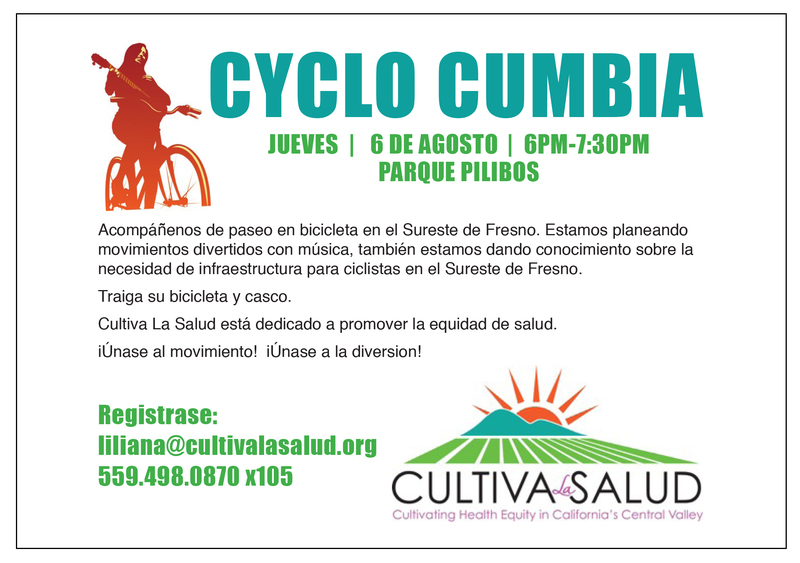 Cultiva will host an historic bike tour of Latino landmarks in downtown Fresno. Children under 13 can participate in a Bike Rodeo where they’ll get the opportunity to learn and practice bike safety skills on a bike course. Come out and support us in celebrating Latino heritage and healthier communities. Click on the image below to view the flyers and share with your community. Zumba classes return to Citrus Elementary twice a week for residents to participate in fun physical activity. These popular workshops bring in an average of 30-40 residents of all ages and skill levels and continue to be a favorite among the community. This school year residents can participate in hour long Zumba workshops every Monday and Thursday at Citrus Elementary. 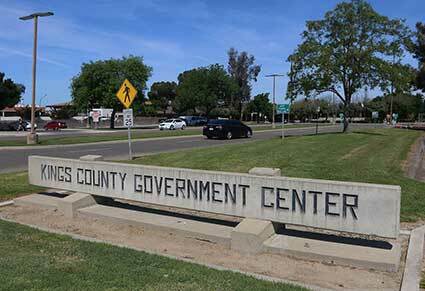 Help us spread the word and expand our joint-use agreement efforts in Orange Cove. Click on the image below to download and share the flyer with your colleagues and community partners. Join us for a Cumbia “Celebration” Ride in honor of Mexican Independence Day on September 16th. We’ll have bike decorations, a Bike Fix-It, a bike rodeo for children, prize giveaways and more. Don’t miss out on this special event. It’s that time of year again! 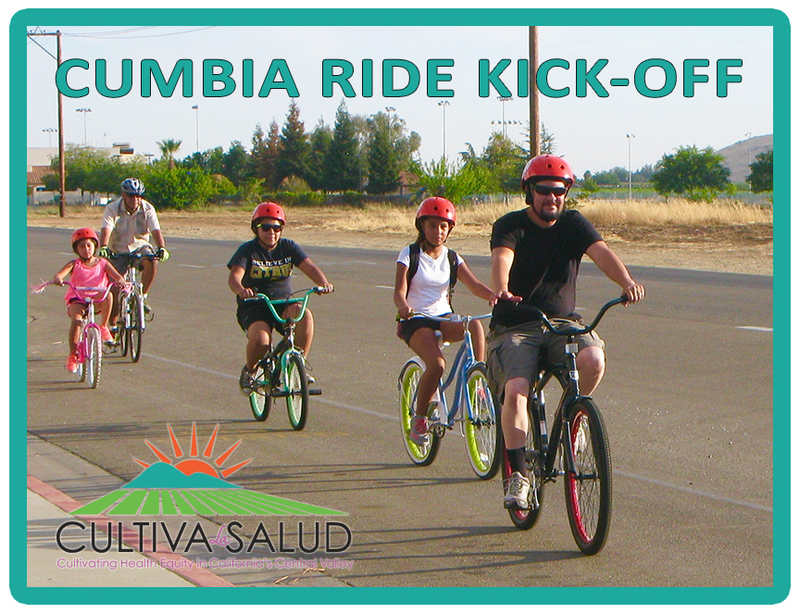 Walk, bike, skate, or roll at this year’s CenCalVia event. 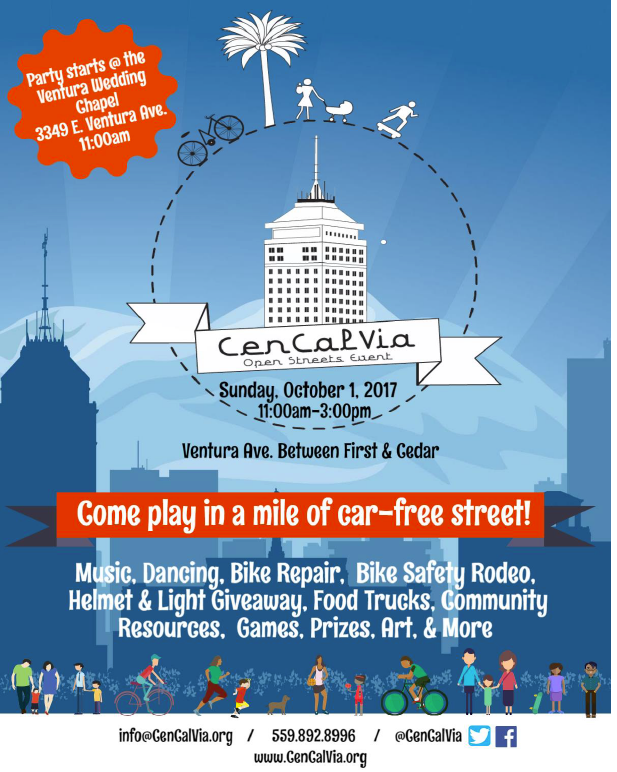 CenCalVia is an open street event that brings together community, movement and fun activities. Join us to celebrate the opening of Ventura Street on October 1st from First to Cedar Avenues. Party starts at 11am. Enjoy music, bike repair, bike safety courses, games, art and more. Click on the flyer below to download and share withy your friends, family, and colleagues. Everyday our children are bombarded with advertisements that promote unhealthy beverages and put them at risk of developing diabetes and other chronic illnesses. Our newly developed campaign “Make Life Sweeter for Kids with Fewer Sugary Drinks” looks at the possibility of a Healthy-by-Default initiative in Fresno where restaurants offer healthy beverages as the default beverage for children. 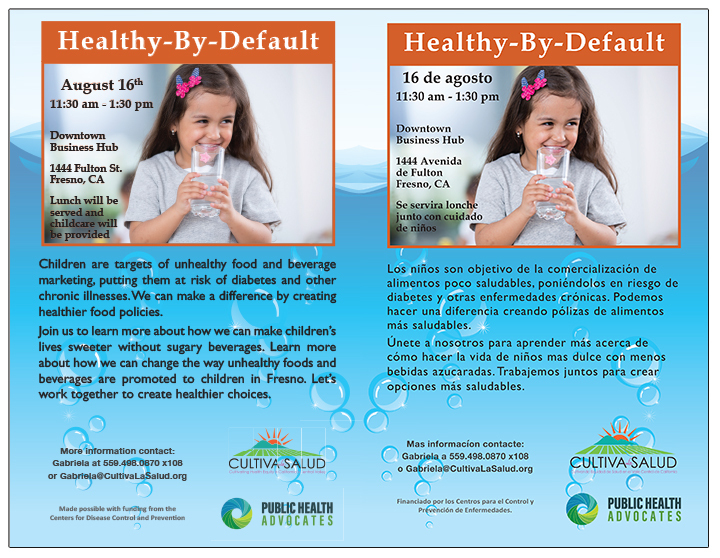 Cultiva La Salud and Public Health Advocates invite you to attend an educational workshop on August 16th at the Downtown Business Hub from 11:30 am to 1:30 pm. Please join us to learn more about the Healthy-by-Default initiative and the potential to decrease the consumption of sugary drinks for Fresno children. Click on the image below to download the flyer. 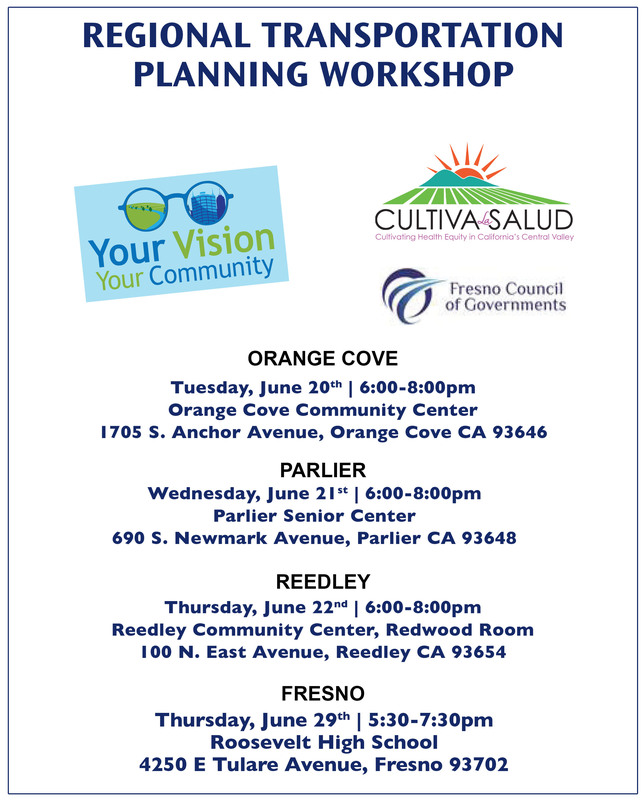 Cultiva La Salud is co-hosting a series of workshops around regional transportation scenarios for community residents in Orange Cove, Parlier, Reedley and Fresno. Join us and participate in discussions and a survey that will help determine infrastructure projects and public transportation solutions. These presentations are intended to gather data from community residents on scenarios that will help improve your everyday life and design a plan that works best for the community. 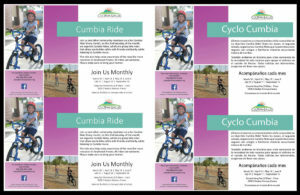 May is National Bike Month and the season for our Cumbia Rides. 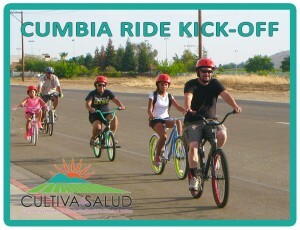 Join us on May 20th for our kick-off event, and then every third Saturday of the month for these fun group bike rides. Riders of all ages and skill levels are welcome. Click on the image below for more details and to view the flyer. 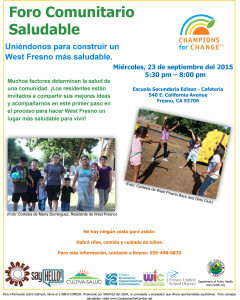 Latino’s in Southeast Fresno deserve safe places to play and be active. 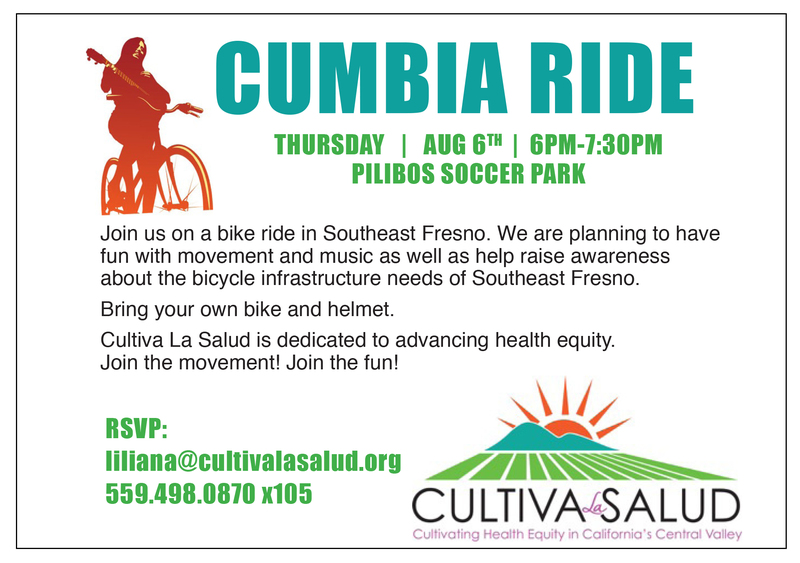 Join our Cultivando committee to increase safe places to be active and increase access to healthy foods and beverages in Southeast Fresno. Click on the image below to view and share the flyer. For residents who enjoy walking and are wanting to join a group, Cultiva is hosting two Walking Groups called Pasos A La Salud (Steps to Health). Walkers of all ages and fitness levels are invited to join the group in a 2-3 mile walk every Tuesday at Winchell Elementary School and every Wednesday at Hidalgo Elementary School. Walking promotes good health and helps prevent chronic disease. 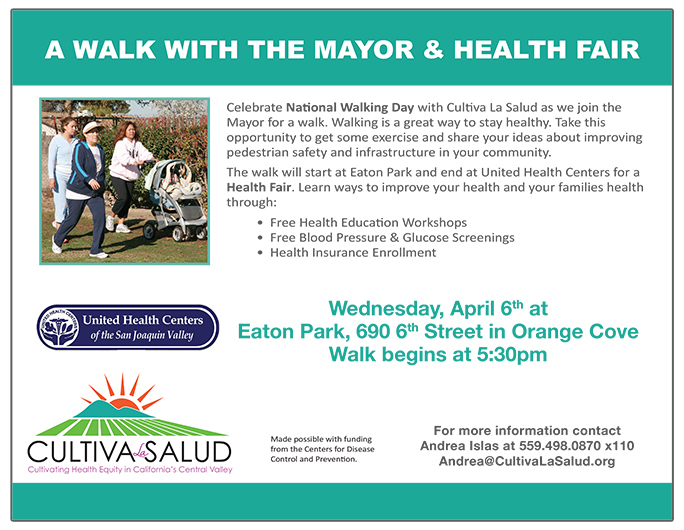 Pasos A La Salud will also help us in raising awareness of the need for improved walking infrastructure in Southeast Fresno. 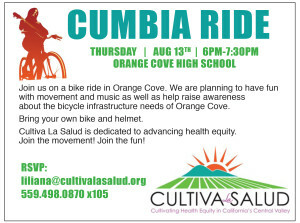 Thanks to an agreement between the City of Orange Cove and the Kings Canyon Unified School District, Cultiva La Salud is happy to announce that Zumba classes are now available for residents of all ages and skill levels, twice weekly. This is a great opportunity to improve your health, develop healthy habits and live active lifestyles. The Zumba classes are free of charge and are taking place at McCord Elementary at 5pm every Tuesday evening and at Citrus Middle School at 6pm every Thursday evening. Don’t miss out on the fun. Get fit while listening and dancing to upbeat Latin music. The City of Fresno has released the initial draft of the Active Transportation Plan and is allowing the community to provide input. 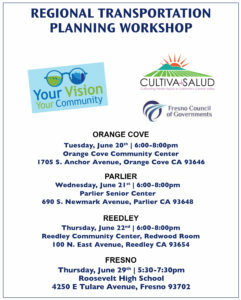 Come learn more about the investments the plan calls for and make sure that the plan reflects the needs Southeast Fresno residents. Click on the image below to view and download the flyer. ¡Que Viva Latino Heritage Month! Come celebrate Latino Heritage Month with us on a Latino Pride Ride, October 13th in downtown Fresno. 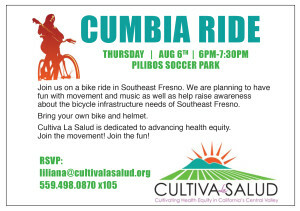 Join Cultiva and other community advocates to learn more about Latino health issues and local actions to promote Latino Health. 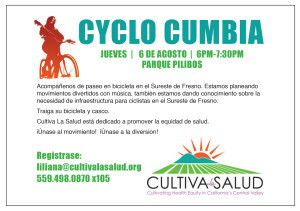 Get some exercise, listen to some great music, and learn how to support active transportation policies in Fresno. School farm stands help increase access to healthy foods in Southeast Fresno. Support local farmers by purchasing quality fresh produce every Wednesday and Thursday and Lane and Vang Pao Elementary Schools. Click on the image below to access the flyer. 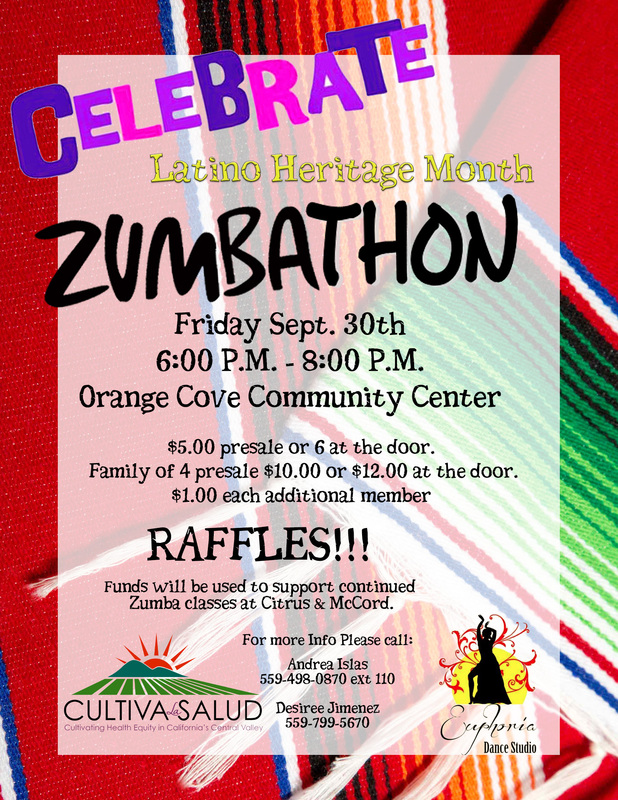 Join us for a Zumbathon on Friday, September 30th from 6-8pm at the Orange Cove Community Center. 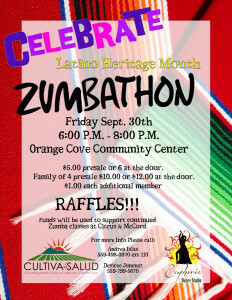 This fundraising will help us raise money that will pay for weekly Zumba classes in Orange Cove. Thanks to the City of Orange Cove and the Kings Canyon Unified School District a joint-use agreement allows community residents to use the school grounds at Citrus Middle School and McCord Elementary for physical activity in the evenings during the school year. Join us on Wednesday, September 28th from 6 – 8pm. Click on the image below to download the flyers and help us get the word out. Join us on Thursday, September 15th from 5:30 – 8pm. Click on the image below to download the flyers and help us get the word out. 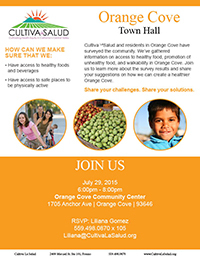 Learn how to make your community a healthy place to live, work and play. 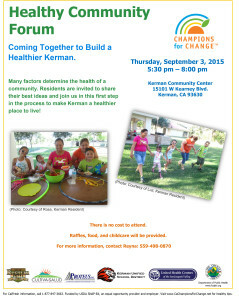 Join us on Thursday, August 25th at the Kerman Community Center from 5 – 7:30pm. Click on the flyers below to print and help us spread the word. BE HEALTHY, BE ACTIVE, BE SAFE, BE BETTER! The City of Fresno is creating an Active Transportation Plan that will identify ways to improve and increase walking and biking. This is a great opportunity to learn about the Plan that includes bike lanes, trails and sidewalks. Join us to share your feedback on how to improve the Plan. The City of Fresno and Fresno and Central Unified School Districts agreed to open 16 school sites on weekends to help increase access to safe places for physical activity. As a result of community engagement efforts through Cultiva, Fresno Building Healthy Communities and multiple community serving organizations, residents throughout different areas of Fresno now have access to schools to engage in physical activity. The launch of the new joint-use agreement took place throughout June, which began with access to four of the sites on June 4th, 2016. The city continued the launch by opening an additional four sites ever weekend throughout the month, until all 16 sites were open. 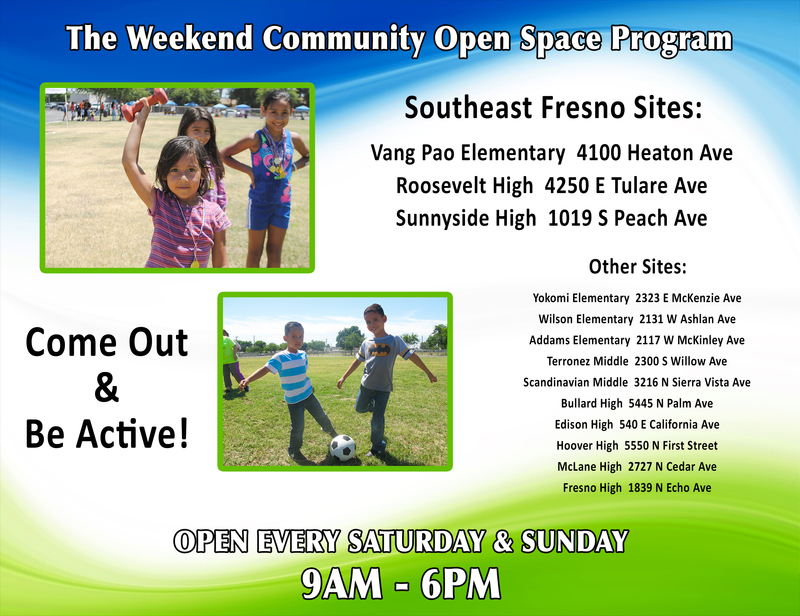 In the coming weeks, the City of Fresno’s Parks After School Recreational Community Services Department (PARCS) will provide organized recreational opportunities on the playgrounds and open spaces for residents. Access to healthy and locally grown fruits and vegetables isn’t always a reality for residents in Southeast Fresno. But this summer, Cultiva La Salud, in collaboration with Fresno Unified School District and National Hmong American Farmers, Inc., is continuing the farm stands through the summer. Lane and Vang Pao Elementary Schools will host summer school farm stands on Wednesdays and Thursdays and will be offering nutrition lessons for the kids weekly at 10:45am at both locations. Residents can use their CalFresh Benefits to purchase fresh, organic produce at affordable rates. Download the flyers below and help us get the word out. This summer, Kettleman City residents will once again be surveyed to determine possible links between an area landfill and birth defects and disease. The Kings County Board of Supervisors unanimously approved a survey last week that gives Public Health Institute permission to speak to residents about Chemical Waste Management Inc. and the health of their families. Six people will conduct the door-to-door survey and meet with the community. The survey will begin in June 2016 and be completed by June 2017. Join us in getting fit while having fun. 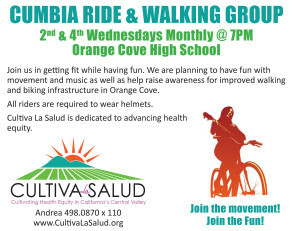 Cumbia Rides are organized group bike rides that allow you a safe biking opportunity with friends and family while listening to great cumbia music. We also ride to raise awareness of the need for improved biking infrastructure in Orange Cove and Southeast Fresno. Our Kick-Off Rides begin this month and will continue every other week through the summer. All riders are welcome, make sure to bring your helmets. Learn how you can help shape and improve Southeast Fresno neighborhoods by sharing your concerns at the upcoming Active Transportation Meetings with the City. This workshops is intended to engage and educate residents on the City’s Active Transportation Plan. Your input is important and can help the City identify priorities that create a healthier and safer community. Download the flyers below and help get the word out. The City will be developing a proposal for their Active Transportation Plan and needs your input. Contribute your ideas and help create a healthier and safer community for all. Join us on May 12th at the Orange Cove Community Center. Our Bike Rodeo courses will teach you how to stay safe while riding your bike. You’ll learn proper signaling, lane merging and more. 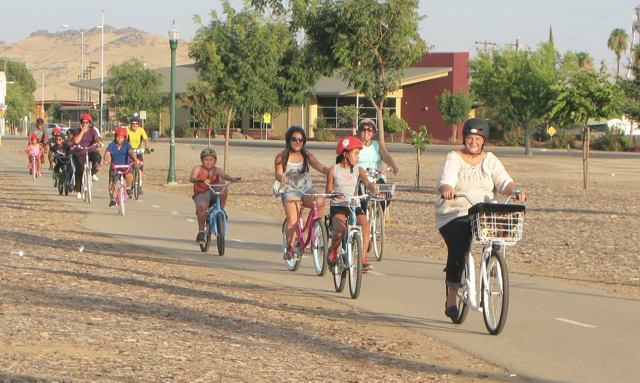 This City of Fresno is developing their Active Transportation Plan. This is a great opportunity for residents to help shape the plan and create safer routes to school and improved walking and biking infrastructure. Click on the flyers below to download, and help spread the word. This is a great opportunity to share challenges and solutions to improve safe routes to school in Southeast Fresno. Join us on Monday, April 25th beginning at 10am at Vang Pao Elementary School. View and download the flyers below. Walking is a great way to stay healthy. Take this opportunity to get some exercise and share your ideas about improving pedestrian safety and infrastructure in your community. Also join us for a Health Fair where education workshops, health screenings, and health insurance enrollment assistance will be offered free of charge. Join us on Saturday, March 19th for our Community Bike Kitchen events. Start your day learning how to do basic bike repairs so you can continue riding all year long. 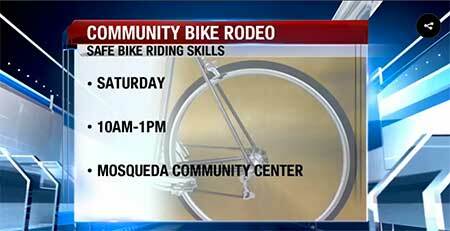 This event will offer “Do It Yourself” (DIY) workshops by Fresno’s bike experts. The opening of two new school farm stands in Southeast Fresno will help create greater access to local fruits and vegetables for low-income residents and an opportunity to learn about nutrition in order to prevent obesity and chronic disease. Both farm stands are now open and will remain open through the end of the school year in June. The School Farm Stands will accept Electronic Benefits Transfer (EBT) allowing residents to access local fruits and vegetables using their CalFresh benefits. IT’S FUN, IT’S FREE, IT’S ZUMBA! Join us to celebrate the newly signed shared-use agreement between the City of Orange Cove and the Orange Cove School District. This shared-use agreement allows residents to use the schools green space and gyms for physical activity on the weekends. 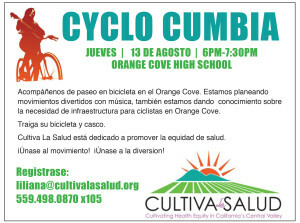 Cultiva La Salud is recognizing the city and school district for their efforts by holding a Zumba kick-off celebration and to honor the First Lady’s Let’s Move Initiative, dedicated to solving the problem of obesity. Muevelo!, our Zumba kick-off event will take place February 18th at Citrus Middle School in Orange Cove. Zumba classes will continue every Tuesday at McCord Elementary from 4pm-5pm and every Thursday at Citrus Middle School from 6pm-7pm. Improve your health while dancing to upbeat Latin music. Join us on Saturday, December 5th for a Ribbon Cutting Celebration at Mueller Park in Reedley. 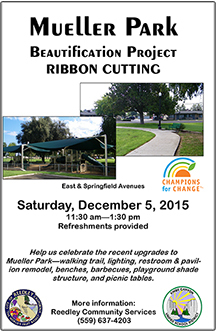 The newly renovated park is located next to the Community Center. 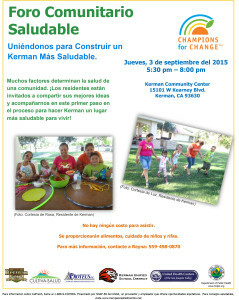 Champion Moms, La Voz de Reedley: Families Unidas Por Un Cambio, which translates to The Voice of Reedley: Families United for Change, have been instrumental in getting improvements to the park completed and will be performing a Folkloric Dance alongside their daughters to celebrate these long awaited changes. Mueller Park changes include a walking path, increased lighting, restroom and pavilion remodel, improved toddler shade structure, an added baseball field, BBQ Grills, picnic tables, new benches, and much more. Come see for yourself. 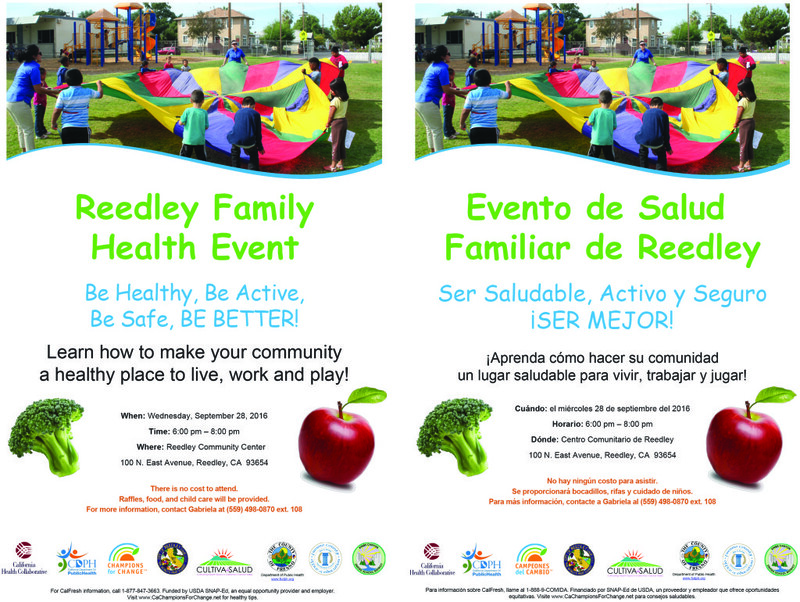 Local organizations, United Health Centers, Marjoree Mason Centers, The Boys and Girls Club of Reedley, and many more, will be present at the ceremony to share information and resources with the community. Download the Flyer and share with your community. 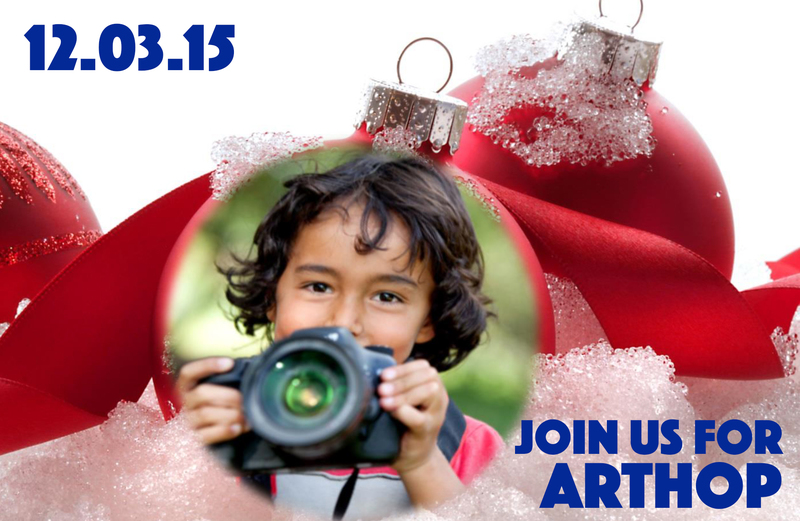 We hope you’ll join us on December 3rd at our office in Downtown Fresno as we host an Art Hop/Open House event. We will share our Youth Photovoice project featuring photography by local youth highlighting their perspective on how their environments affect their ability and choices to eat healthy and be physically active. Jesse Tedrick, our Youth Coordinator will also feature a complimentary exhibit on park space and the disparate opportunities for safe physical activity in Fresno. Come enjoy music, art, refreshments, and a silent auction. Download the flyer here and help us spread the word. 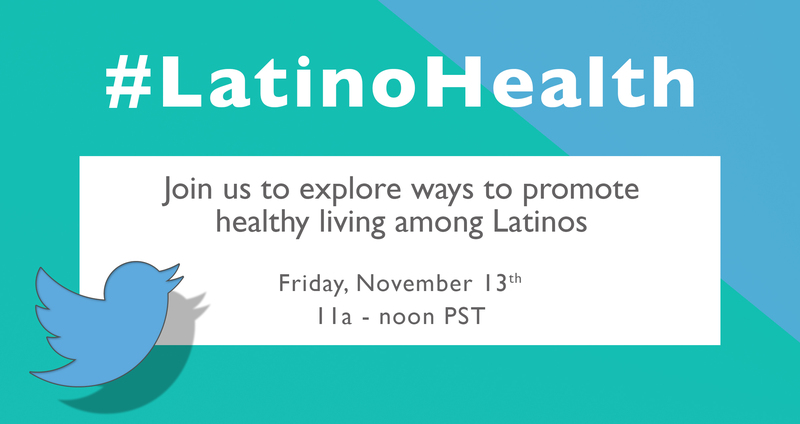 Join us Friday, November 13 from 11am–12pm for a #LatinoHealth Tweet Chat that explores ways to promote healthy eating and physical activity among with Latino communities. 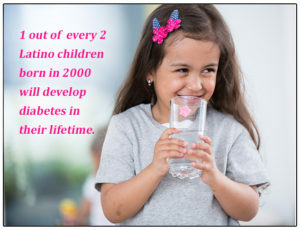 We’ll discuss the importance of Latino Health and potential solutions to the alarming rates of obesity and diabetes within Latino communities. Get ready to move! We’re hosting a Baile where we’ll listen to a variety of traditional Latin music, learn dance moves, and dance for fun and health. Join us for fun, movement, and a celebration of Latino Heritage Month. The event is Tuesday, November 3rd at the Orange Cove Community Center from 6-8pm. For more information, click on the flyers below or contact Andrea Islas at 559.498.0870 ext. 110. Learn about walking safety and the importance of safe routes to school for all children in Southeast Fresno. We also want to hear from you about what you would like to see to make your child’s walk to school safer. All parents and children are welcome to join us. We plan to get kids to school in time for breakfast and then provide a healthy breakfast for parents. Sheridan Elementary, 1001 9th Street. Meet at Pablo Rodriguez Apartments, entrance on South Avenue at 7:15am. Join the Movement! Join the Fun! 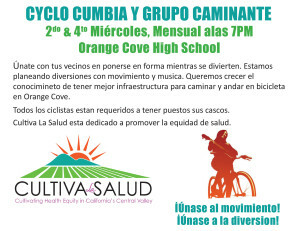 Orange Cove residents expressed they wanted more Cumbia Rides and to start a Walking Group. 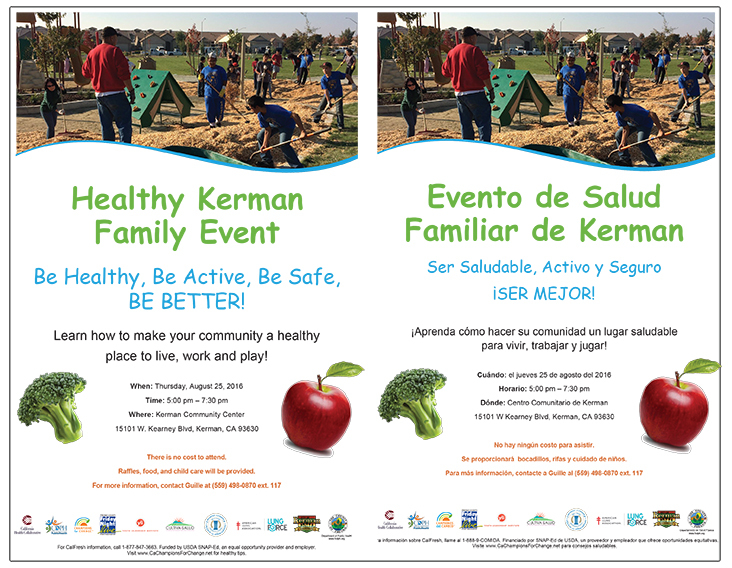 Beginning this month we’ll be hosting physical activities for the community to get fit while having fun. 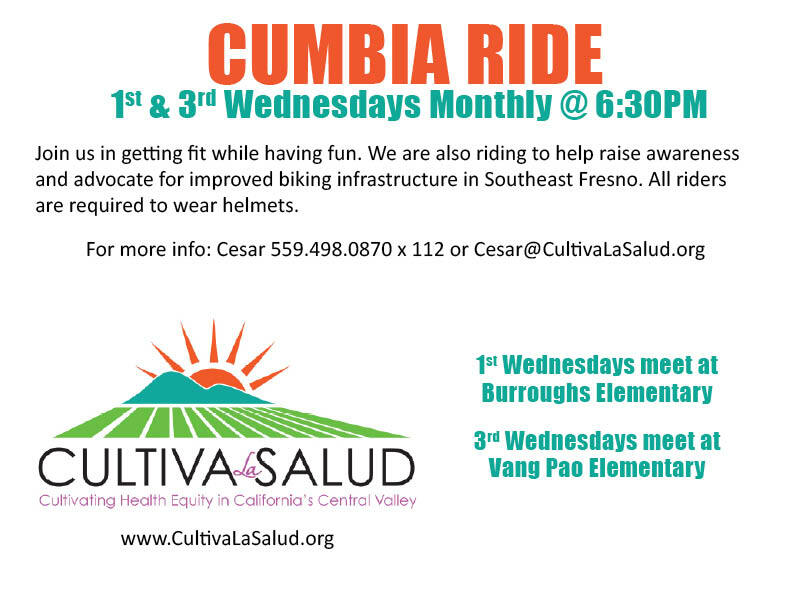 Southeast Fresno residents can also participate in Cumbia Rides beginning in October on the 1st and 3rd Wednesdays of the month. Click on the flyers below for more info on times and locations. Many factors determine the health of a community. Our upcoming Community Forums provide residents in West Fresno and Kerman an opportunity to share their concerns, challenges, and ideas. Where you live matters. You can help shape your community for the better by joining us. 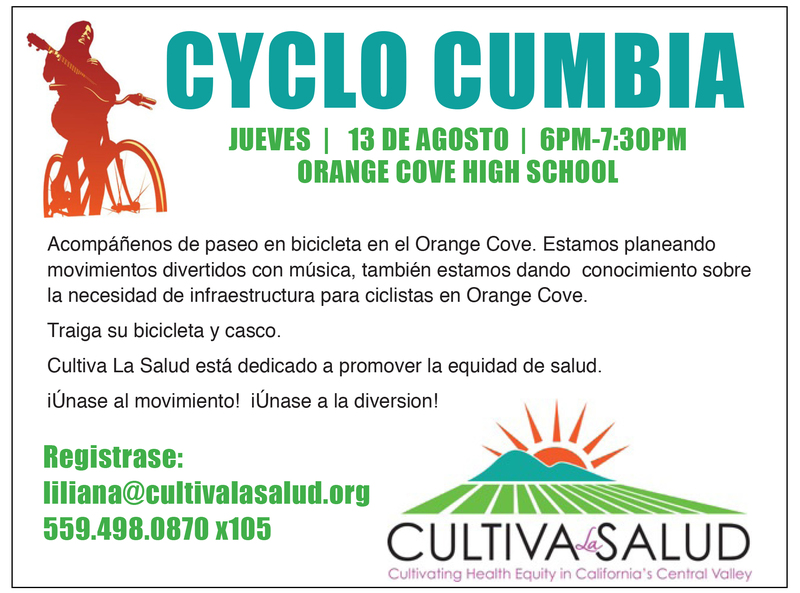 We are planning to have fun with movement and music as well as help raise awareness about the bicycle infrastructure needs of Southeast Fresno and Orange Cove. Bring your bike and helmet. Get the full details below by clicking on the flyers. 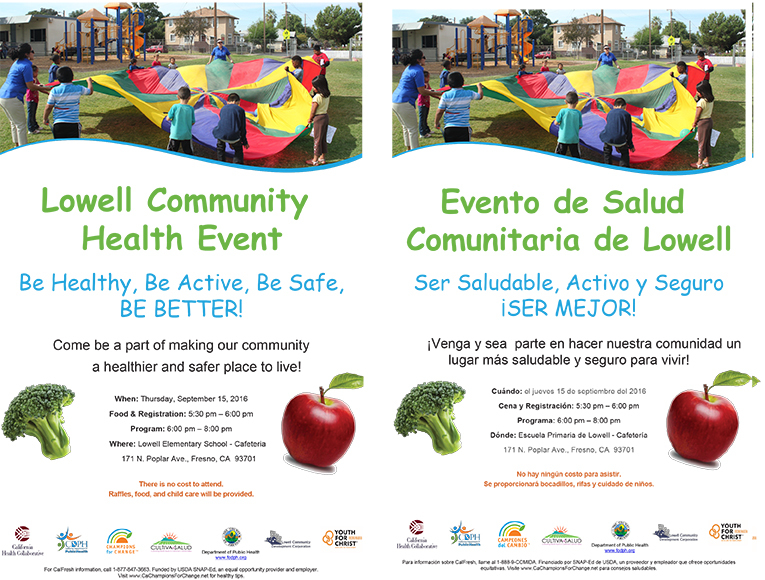 We’re excited to announce two Townhall meetings this month in Southeast Fresno and Orange Cove that will engage Latino residents to take action toward increasing access to healthy foods and physical activity spaces.